SHOCKED is not an act you can snooze through. 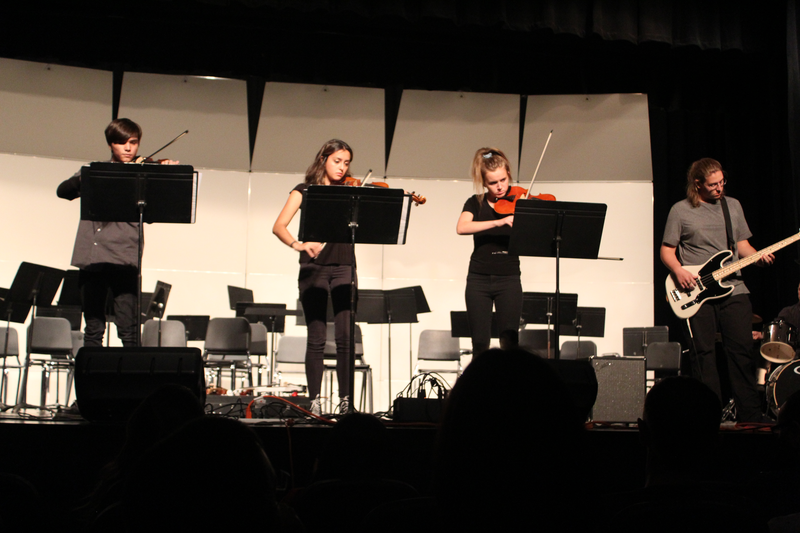 We are a dynamic ensemble combining electric string instruments with traditional string playing techniques. Musical selections center on popular rock and ballad classics as well as current and popular tunes. Members of SHOCKED rehearse twice weekly after school and must also participate in at least one orchestra class. We want to entertain you! Consider us for your next big event. Upon request, we perform free of charge at both public and private venues. Our casual, unique format permits us the flexibility to entertain audiences at practically any venue—we are not limited to the concert hall, tea parlor, or wedding march! 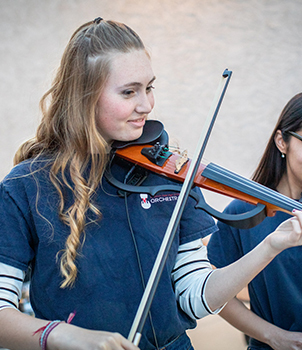 Past performances include collaboration with a local rock band at the Mesa Downtown Festival, a showcase at the Mesa Public School Sci-Tech Festival, and dinner entertainment at school-related fundraising events. Want to look before you book and be sure we're the right sound for your event? Catch a live demonstration of us during dinner prior to the annual Feeder Concert, or at our annual Surround Sound fundraising dinner. We will not disappoint. SHOCKED performs at public and private events free of charge. Check our availability, and book us for your next event.